Hey guys, just wanted to give you all a quick update. I've somehow made it to South Africa, met Larissa's entire family, finished launching our new dropshipping store, hung out with a cheetah and waddled through the ocean with some penguins. Our goal was to get our new store up and running before we boarded our flight to South Africa so we could relax on the trip and hopefully get some passive income from the sales while we were on holiday. If you read back on the previous few entries, some things were much quicker and easier and some took way longer than we had thought. Good news is we met our goal! The store is up, looks great, and our products are live. We even got our first sale yesterday! Woohoo! The only thing we still need to do is get more suppliers and products up on our site as we only have 36 and would like to have over 100, and we're still waiting on our Wyoming Resellers Certificate to get approved. I already have one for California which was a piece of cake to get as it took 2 minutes and was instantly approved online, plus it was free. But I've decided that for this new store, I wanted the business to be based in Wyoming so there's no sales tax or state income tax. I'd still recommend for people starting out with their first store to follow Anton's course exactly and not try to make things more complicated, but since I've been through the process with my own store before I wanted to do it big this time around. By far the best part of my trip so far has been the wildlife. 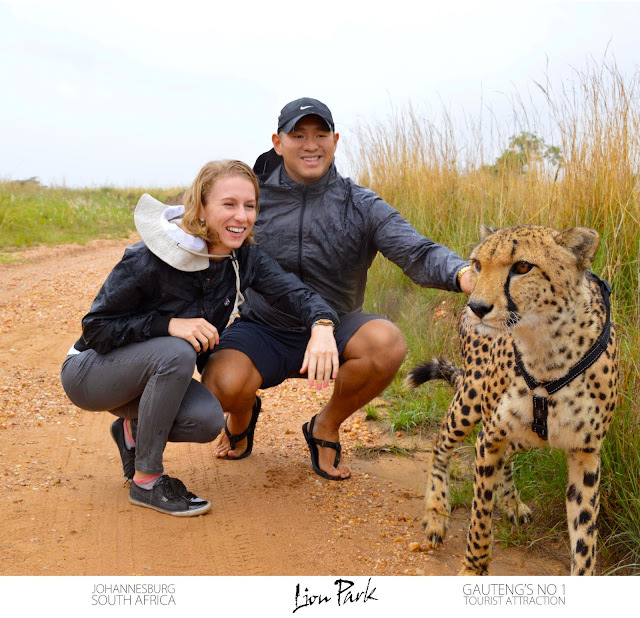 Just an hour away from Johannesburg where Larissa is from is both the Lion Park/Cheetah Walk and the Rhino and Lion Park. It was my first time walking with a Cheetah in the bush and being on a proper land rover safari truck. It's not super cheap but at less than $100US per day it's still affordable and a must do if you visit SA. I'll write up an entire guide to South Africa later, but one of the big reasons why I haven't updated more, and even missed an entire week's episode of the Travel Like a Boss Podcast is because it's Christmas vacation and after putting in the long hours and work during the last month before this trip, I just wanted to chill out and relax with Larissa and her family. Keep an eye out for the next update, and for the next podcast, as I'm going to have Larissa on the show again and go into detail on what it took to start a new store together, as well as go into more detail on what we've done in South Africa so far, which has been awesome by the way.